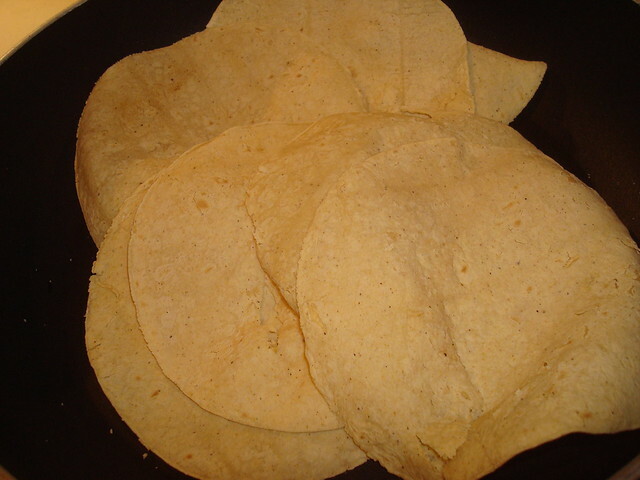 In a saucepan at low heat warm the tortillas, so they became tender. 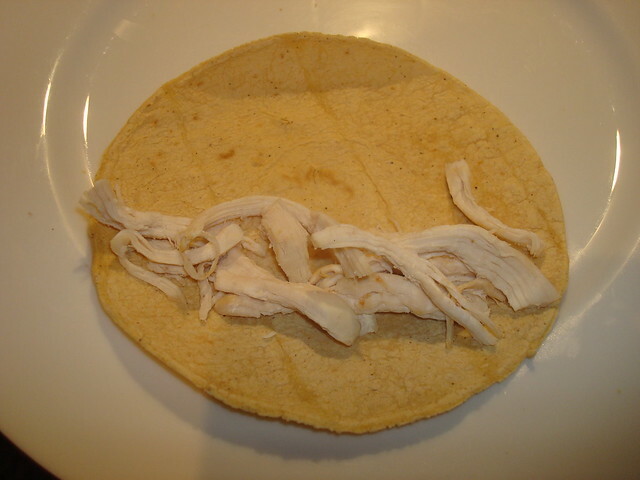 Fill a corn tortilla with the shredded chicken and wrap it to form the taco. 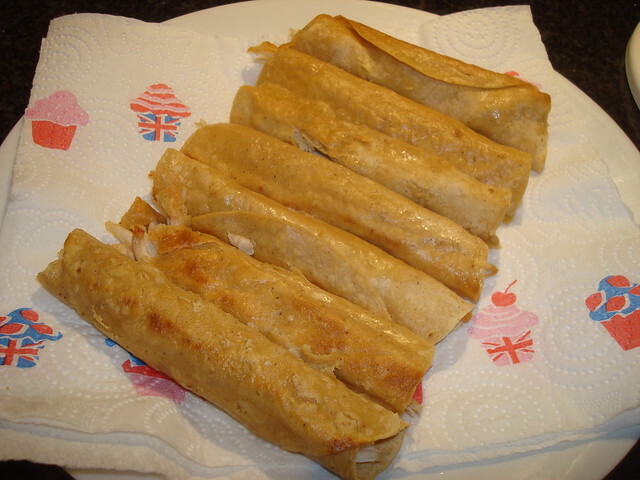 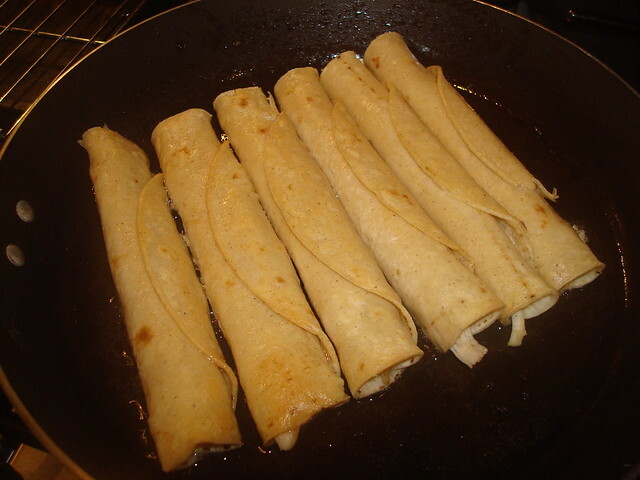 In a saucepan pour some vegetable oil and fry the tacos until they are light brown. 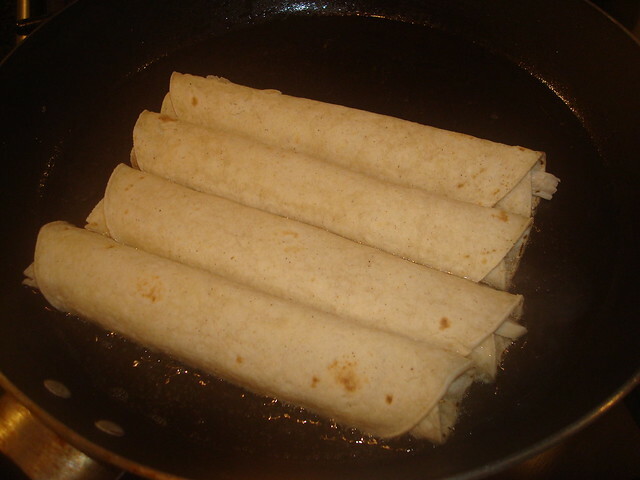 Put the tacos in a kitchen towel to absorb the excess oil. 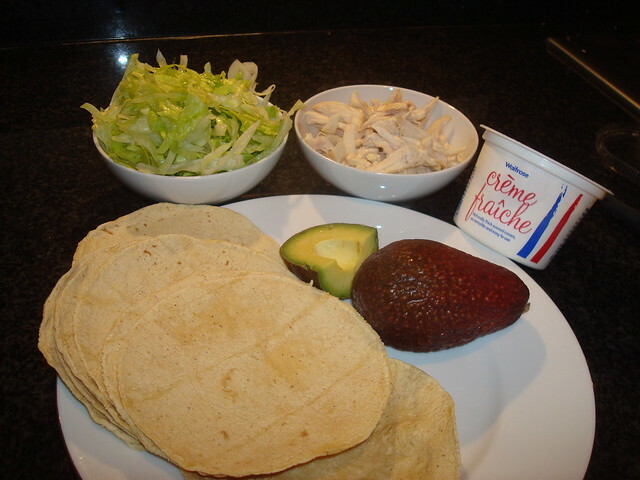 To serve, top them with cream avocado and lettuce. 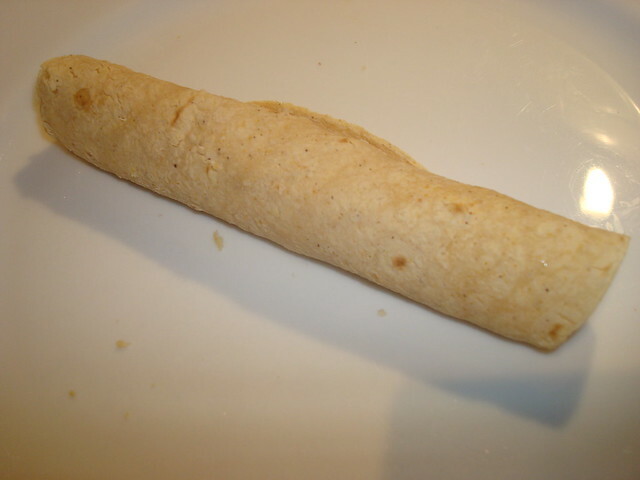 If you wish you can add hot sauce. 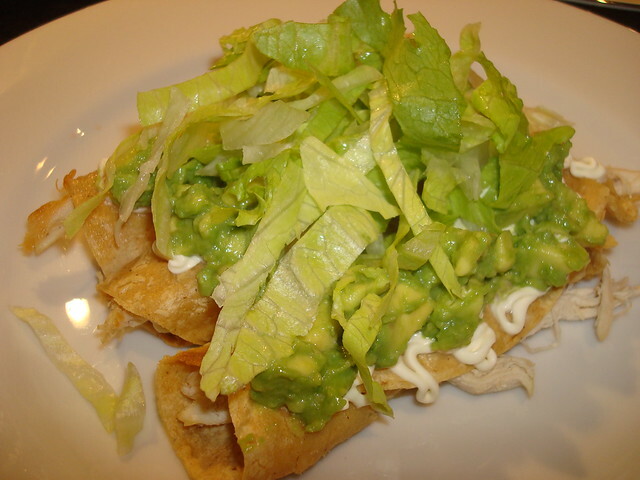 You can also serve them with guacamole.